What you eat is what you are. This saying also applies to what you drink. Your body is filled with fluids and the ones you consume greatly affect many aspects of your life, including your mood, personality, and mental clarity. Beverages high in sugar and carbon can bloat you and lead to the lethargy of your mind and body. Those drinks which are lighter, such as certain teas and water, are excellent to help you stay within a healthy weight, experience fewer skin imperfections, and lead to a longer life. Here are 8 drinks that can improve your health in a variety of ways. While you can’t skip illnesses like the flu and a cold, you can lower your chance of falling ill. Drinks filled with vitamins, antioxidants, and minerals are excellent in helping you absorb them. In addition, more fluids can help your immune cells communicate with each other, stay hydrated, and get rid of foreign entities in your body. An excellent drink to start your day is a homemade tea. Not only does this drink boost your immunity, it also assists your overall health. The drink is easy to make. You need only 8 to 12 ounces of hot water, 1 to 2 slices of fresh lemon, and a teaspoon of fresh ginger, says Dr. Isaac Eliaz, nutrition expert. This recipe boosts your entire system by activating, warming, and cleaning everything. Chai is an amazing tea that originates in India. Usually, it is made from either green or black tea and has many spices including black pepper, fennel, clove, ginger, cardamom, and cinnamon. These herbs boost your energy, immune system, fight viruses, and various bacteria, and lower inflammation that may be chronically lowering your quality of life. To boost the effects of chai tea, keep it unsweetened, as sugar of any kind increases your blood glucose levels which suppresses your immune system. To increase blood flow in your body, beetroot is an excellent vegetable. It has the ability to improve the amount of nitric acid which allows more blood to flow through your body and to your brain. As more blood flows to your brain you may find you can think clearer, solve issues easier, and get more done. 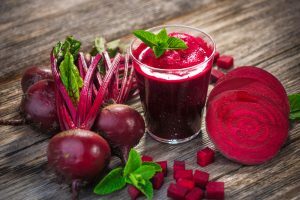 Beetroot is excellent when you need to use your brain a lot, such as when you are studying or doing intensive cognitive activities at work. While you can buy this drink at the store it is less expensive to make your own. When making this drink, include the green and root as they contain a lot of nutritious value for your brain. To add some sweetness, use apple juice. This naturally sweet fruit can make your drink even better. Whether you like banana smoothies or banana juice, this simple fruit is inexpensive and great for your brain. If you are late for a meeting, grab a banana on your way out. Bananas have proven to increase concentration because of their potassium. This mineral helps your nerves, brain, and heart work better. For a quick snack or smoothie, chop some bananas, put them in the freezer and take them out whenever you want a delicious snack that will boost your brainpower. The hardest thing about many weight loss plans is the restriction. 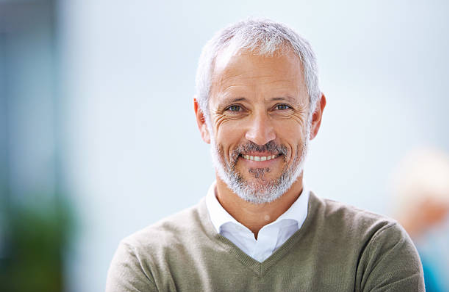 You may go from being a man who enjoys a beer once in a while, coffee in the morning, and tea when you need to relax to a man who only drinks water. This can feel like a cruel and unusual punishment. And, as you surely know, few people want to inflict punishment on themselves. While food can have a cheat day or a leeway for sugar intake, a beverage diet tends to be very strict. This strictness can lead to noncompliance. So, add more beverages to your diet, there are many available that can complement your weight loss goals without leaving you feeling like all other drinks fled the planet. You don’t have to consist just on water to lose weight and get healthier. In fact, there are a variety of drinks, smoothies, teas, and smoothies that can be used in your diet. Green tea can give you that caffeine you may need, help you lose weight, and can prevent certain types of cancer. Due to its catechins, green tea is an excellent fat-fighter. Also, it’s not water! Losing weight doesn’t mean you have to give up milk. Instead, you can add some creamy almond milk to your diet. Almond milk has a similar consistency to the cow’s milk you may be used to be, but a lot less fat, sugar, calories, and belly bloat. No longer do you have to watch as your stomach expands after drinking dairy. 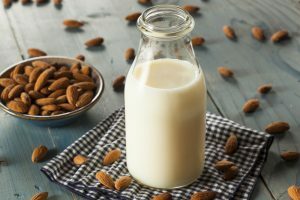 One thing to watch out for before buying almond milk is carrageenan. This ingredient leads to inflammation. Hot or cold, peppermint tea is excellent for your health. It’s relaxing, has a great taste, and is filled with antioxidants due to the flavonoids that are natural to this tea. Not only that, but it offers a lot of protection against various cancers. In addition, the mint can freshen your breath if you are out and about, so you can feel comfortable socializing with more people. If you’d like to get rid of blemishes or you just want skin that looks really healthy, add the following drinks to your diet. These are not all of the drinks that can boost your skin, but they are excellent choices. While you may not be aware of the latest celebrity news, the fact is that many celebrities drink green juice. Blended with kale, this smoothie is full of vitamin A, which boosts cell growth and regeneration. It can make your skin bright and very healthy. In addition to improving your bone health, soy milk contains isoflavones. These boost the collagen in your skin, which can make you look younger, says the United Soybean Board. There are many medications and products that claim they can boost your health, but you can take matters into your own hands with these simple to make beverages.